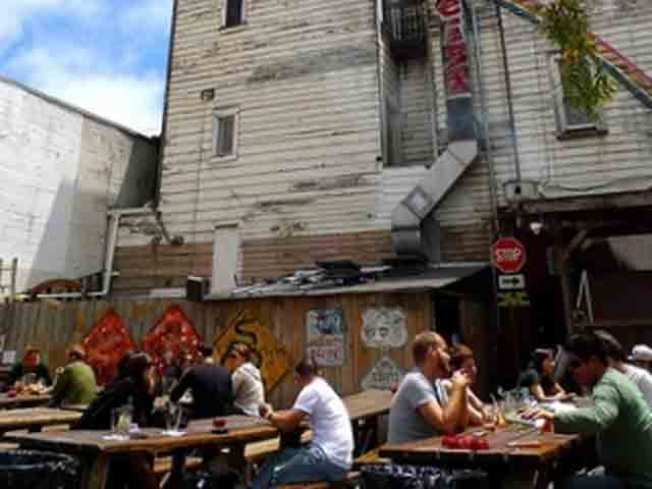 Today Mission Mission passed on the news that Zeitgeist -- the legendary biker and beer hangout where every hipster worth his salt has made memories -- is redoing its interior. According to the bartender we just spoke with, they had to make it compliant to handicapped regulations and fire code; so as of now the only way in is via the patio on Valencia Street. Other changes include the addition of actual bathrooms in the outdoor area and the bar is now open to the patio as well. Apparently the differences are purely structural, so you can still bank on the tamale lady, 25 beers on tap, and a healthy dose of holier-than-thou.